Beaphar Dog Flea & Tick Drops kill fleas and ticks for up to 4 weeks. 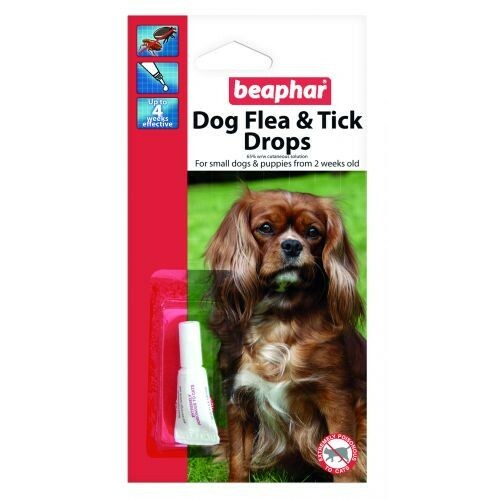 This product is for use on small dogs under 15kg weight or puppies over 2 weeks of age, and contains one application. Easy to use, simply apply the solution between your dog's shoulder blades. MPORTANT: THIS PRODUCT IS EXTREMELY POISONOUS TO CATS..